Our company provides cotton rug cleaning service in Kuala Lumpur and Selangor. A clean rug is essential for the family. Hence, periodically cleaning of your cotton rugs are necessary. Unique fabrics are used to make cotton rugs, so you must use particular cleaning methods. You can wash your rug at home or hire a rug cleaning company to clean it. Cotton rug cleaning service is mandatory if you want a clean, soft rug at home. It is not recommended to clean your cotton rug at home; stains or dirt cannot be eliminated easily every time. Cotton rugs are appealing and soft. Unfortunately, cotton attracts and absorb dirt. Professional periodical cleaning is a must. These are the only way to remove dirt and stains and show the original natural look of a cotton rug. Professionals are testing the fabric before cleaning to find the best method to make it new. Cleaning services use a UV light to remove odours and stains, before vacuum cotton rugs. The cotton rugs must be deep cleaned, and some professional cleaning firm is ensuring a hospital grade sanitizer. 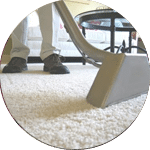 Don’t hesitate to ask a professional cleaning for your cotton rug cleaning whether the products used to clean the rugs are 100% non-toxic and natural. Professional cleaner services will treat the rug with deodorizers. Professional cleaning provides detail-oriented cleaning methods for cotton rug cleaning. If you have a family with kids, pets, you need to vacuum twice a week. The rugs must be professionally cleaned twice a year. If you live in a high traffic house with young children and pets, you need to wipe the cotton rugs three times a week a professional clean the rugs every three months. Don’t forget the stains; clean the stains as quickly as possible. You will stop the stains from spreading. If the stains frequently appear in your house, use a cotton stain resistant rug. Choosing an eco-friendly professional service for your cotton rug, you put your family health first. Professionals wash handmade cotton rugs with natural soap and cold water. After washing, the rugs are placed between two rollers to squeeze out the liquid. 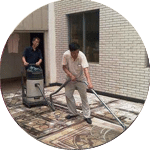 Professional cotton rug cleaning extends your rug life. In time, the dust will act as sandpaper and destroy your rug. Clean your cotton rugs often to be sure that they will last longer. Email or call us for a FREE quote for cotton rug cleaning today! 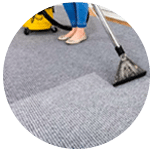 Our customer service team will reply to your request within a few working hours to find out more and discuss further about the cotton rug cleaning service that you require. Subsequently, we will issue you a quotation and an invoice for the cotton rug cleaning service. 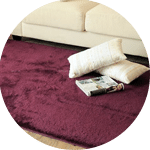 Our cotton rug cleaning service is available in Peninsula Malaysia from Kuala Lumpur, Selangor, Ipoh, Johor, Malacca and Penang. Speak to our team to enquire more about the cotton rug cleaning service that we provide in your area. I have a special request for my cotton rug cleaning service, can this be done? 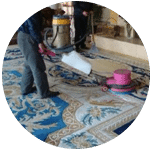 We understand that sometimes our customer have special requests for cotton rug cleaning service with regards to timing and other matters such as stain removal. In this scenario, you can contact our customer representative team at 017-232-6491 to discuss your cotton rug cleaning request.